As you are probably aware, to get into most countries outside of Europe you need to get yourself a Visa. For some countries you can get one when you arrive, for others it requires a bit more planning than that. The visa requirements are changing all the time, for the latest information make sure you check the correct embassy website for the current requirements. As our first stop on our worldwide trip is Mongolia, it made sense to start with this visa! After looking through lonely planet books and checking out a number of different sources online, we eventually found the correct embassy website. On the website there is a whole visa section with pages titled: General Visa Information, Visa Types and Fees, Visa Waiver, List Of Countries Without Visa Fees and Frequently Asked Questions. Passport with a validity date at least six months beyond the end of the applications intended period of stay in Mongolia. Completed visa Application Form for Tourists with one passport size photo. Travel itinerary, hotel reservation and insurance are preferable. We started to get together all the required documents. We printed out our flight confirmation to Ulaanbaatar, our hostel confirmation for the first 4 nights, our semi planned itinerary (basically everything we planned to do, even though none of it was booked), our insurance and our train ticket confirmation to Beijing. We got some passport photos taken and grouped all this together along with the passport and completed Visa form ready to make our trip to London. The nearest tube station is High Street Kensington, located on the Circle and District lines. Once arriving at the station, walk through the little shopping precinct untill you reach the road. From here take a right and walk for roughly 5 minutes and take your 3rd right down Kensignton Court Rd. Look out for the big Mongolian Flag hanging above the embassy and you know you’re there! Afterwards there is a lovely little restaurant called Coté Brasserie which serve any full english breakfast, a coffee and some juice for £9.95. The Visa section of the Mongolian Embassy in London is only open on Monday, Tuesday and Thursday and only between 10:00am – 12:00pm. This means you have a 2 hour window to apply for your visa. We turned up at 9:50am, at 10:00am a lady came and unlocked the gate to allow us to go downstairs into the Visa office. A few other people had the same idea as us, turning up when it first opened. It’s a good idea to get there early in case you run in to any problems along the way. We were second in the queue and didn’t really know what was going to happen, we were half expecting to be called into a little room to go through the Visa application. However, the same lady who unlocked the gate for us was behind the counter. She calls you over one by one and goes through your documents. It turns out we provided too much information and she didn’t take everything we printed out, but its better to be too prepared right? After checking all your forms are correct she asks for payment. Now you have 2 options here: you can either make a bank transfer before you go, the details of which can be found on the Mongolian Embassy website. Take a print out of the bank transfer with you to prove that this has been completed. Or on the day the lady will give you a form, you take a walk to the nearest HSBC bank a 3 minutes stroll away, pay the same amount of money and return with the receipt. I’d recommend the first option as it saves you an extra trip once you are there. After all your documents are accepted a ticket get attached to your passport and visa application, and you are given a ticket with the same number to present when you pick up your visa. The lady gives you a date in which you can return to collect your application, if you plan to go a few days later than she states just let her know and everything will be OK! If you are traveling a long way to make your application, you can pay an extra fee for an express service so it is all completed within the same day. On the day of the collection we made the same trip up, were in the queue for 5 minutes and before we knew it we were granted entry to Mongolia and on our way to apply for our Chinese visas. This turns out to be a little more complicated. I’ll post again soon with details of this, if the Chinese government lets me, I’m not really sure on the rules! 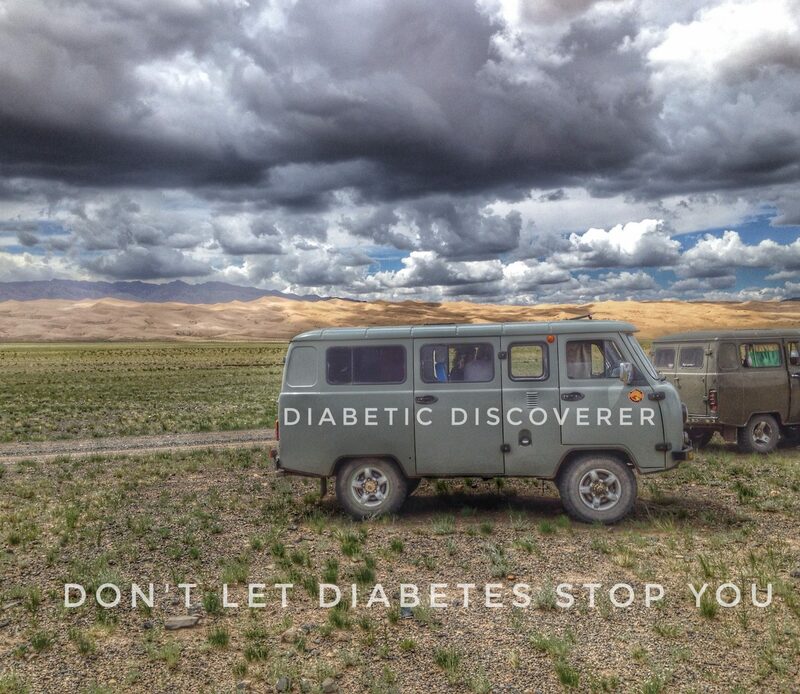 This entry was posted in Diabetes, Fun, Mongolia, Mongolian Embassy, Mongolian Visa, Travel, Visa. Bookmark the permalink.